Each year, April brings strong memories and emotions for Vietnamese refugees and their families. 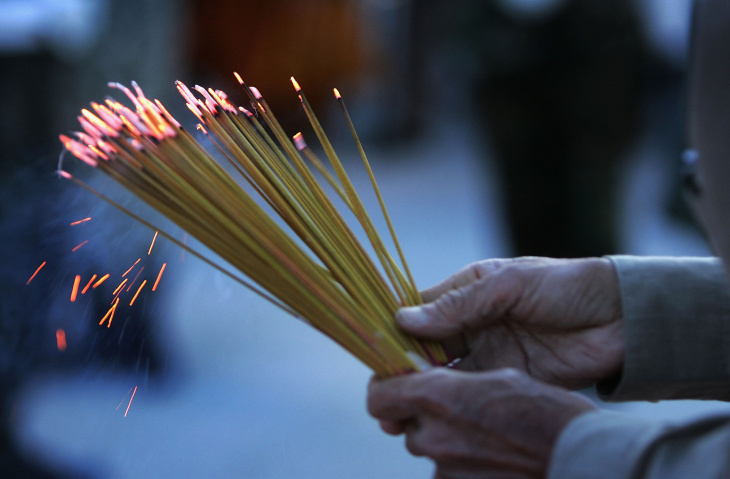 Here, a man holds prayer incense on the eve of the 30th anniversary of the Fall of Saigon on April 29, 2005 at the Vietnam War Memorial in Westminster, California. 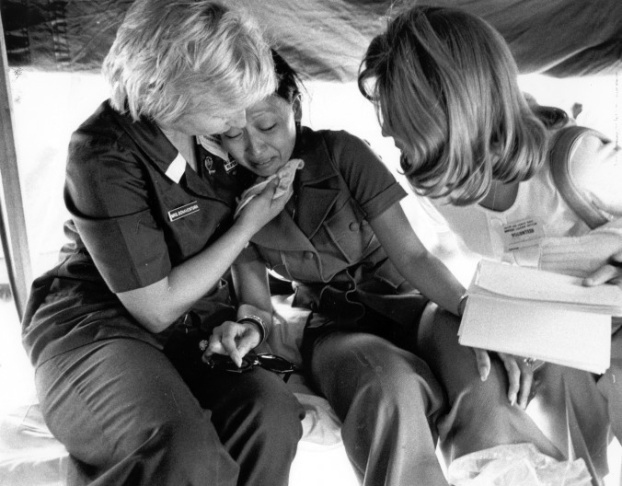 South Vietnamese refugee comforted by Red Cross volunteers at refugee camp set up at Eglin Air Force Base Florida, May 1975. 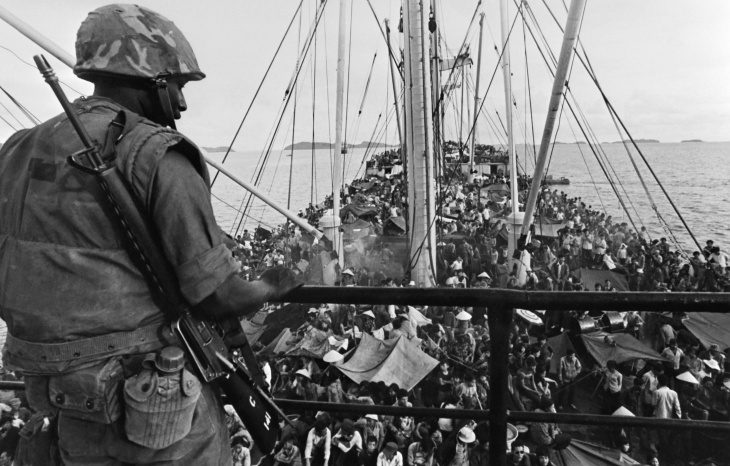 Jumping on planes and overcrowded boats to destinations unknown, thousands fleeing the end of the Vietnam War in 1975, opened a new chapter of their lives. Some Vietnamese refugees recall abuse in holding camps while awaiting entry into willing host countries; others struggled with the emotional upheaval of re-settlement in a strange land. “You do not have a choice what to bring with you or who to be with you and how things will be and even a choice to say goodbye to your friends and family,” said Dr. Suzie Dong Matsuda, a clinical psychologist who worked with Vietnamese refugees for 19 years at the Orange County Health Care Agency. Dr. Matsuda left her family and Vietnam by boat and lived in a camp in Indonesia before settling in Orange County in 1984. “My mom said, ‘I want you to have a future, just go.’ And so I did. I was a teenager,” said Matsuda. Cultural stigma caused many to struggle silently with depression, anxiety, and post-traumatic stress – especially among the first wave of refugees. In Orange County today, home to the largest community of Vietnamese outside of Vietnam, there is a growing movement toward removing the stigma of mental illness through awareness. Though there is still a great need for more culturally competent providers who speak the language of their clients, Matsuda says, it is still possible for a provider who cannot speak Vietnamese, to help. For more on where to access mental health services and information, see below. For those who have private health insurance, call your insurance provider and ask for Behavioral Health Services.